Are we better informed, or perhaps more swiftly misinformed in the age of instant social networking? Shortly after the former football idol David Ginola collapsed playing a charity match in the south of France on Thursday evening, the following message was put out on his personal Twitter feed: "Footy match in midday sun, not very clever. Now having some tests done. Whoever voted a World Cup in Qatar in the summer?" A second tweet in Ginola's name stated: "Hello world, never slept better. I am fine, just need to rest a bit. Thank you so much all of you for your magnificent support." He wasn't fine. He hadn't sent that waspish, somewhat provocative tweet about playing in the mid-day sun, with its political implications about the Qatar World Cup of 2022. Ginola was in fact comatose. He had no pulse after collapsing on the pitch. He was shocked, four times, using a defibrillator at the scene, and was then air-lifted to hospital in Monaco. The reassurance to the public that he was "fine" was misguided. The message relating to playing in Qatar was not Ginola's (above)... But just imagine if that had been his epitaph. The last words sent around the world would have been lies. He came round on Friday morning after undergoing quadruple heart bypass surgery. And then, only then, did anyone speak responsibly about his near-death experience. "He arrived in a catastrophic state," said Gilles Dreyfus, the cardiac surgeon who operated on him and saved his life in Monaco. "He was unconscious and did not remember anything." Prof Dreyfus did not manage the miracle of Ginola tweeting while his life hung in the balance. But on Friday, the surgeon could reassure the proper media, the local newspaper Var-Matin, that the recovery was going well. "I have been able to talk to him," added Prof Dreyfus. "He does not show any neurological after-effects. "He did not have a heart attack, but had very complicated coronary lesions which required us to perform a quadruple bypass." 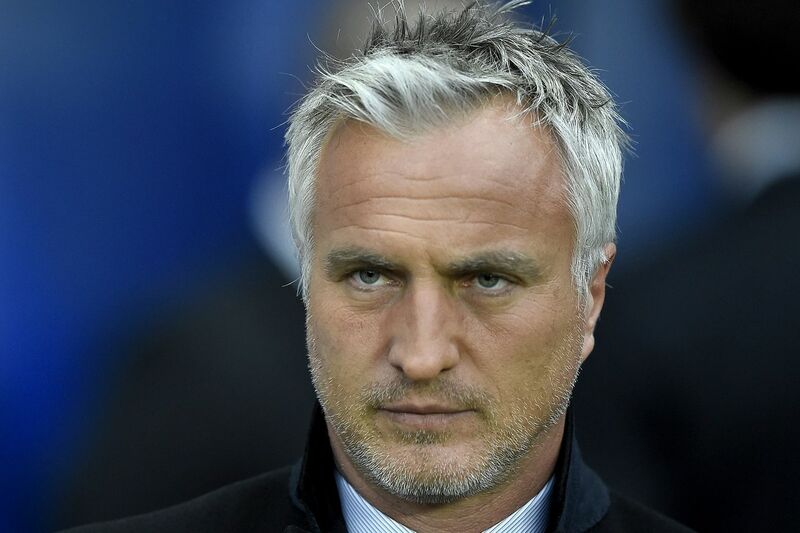 Ginola, 49, has a vineyard in Provence and has maintained a high public profile as a TV pundit for the BBC, BT, CNN and Canal+ since he last played professional football, for Everton in 2002. The cardiac surgeon spoke to the BBC with full authority of Ginola's family to give a more accurate picture than the hasty media fest to say something in the 24/7 rush to publish. For all the instant conjecture surrounding the Egyptian plane that fell into the ocean, read the "live" updates broadcast and printed about Ginola's state of heath, and his supposed statements online. "David is extremely lucky," Prof Dreyfus told the BBC. "He was playing a sort of charity football match. All of a sudden, he collapsed and people thought it was a joke. But after one or two minutes they realised it was serious. "Fortunately there was one person who had trained in CPR, because otherwise he would have been brain dead. They then called the emergency services who arrived eight minutes later with him in cardiac arrest." The doctor's account, which by necessity had to be accurate to save a life, was that a paramedic in the ambulance was able to find the exact location of the field only because she had been curious that morning and had asked someone what was happening at the private ground of the organiser of a pro-am golf tournament that Ginola had played in. "If she had not," the surgeon added, "then most likely she would not have found it within the timeframe to save him. "It was a sequence of events that at every stage went absolutely fine. That is why he is here today. Luckier, you cannot be." With careful convalescence we shall see Ginola on our screens again. He is a man with a ready charm, just as he was a charmer on the wing during a 17-year playing career from Toulon to RC Paris, Brest, Paris St-Germain, Newcastle, Spurs, Aston Villa and Everton. The last stop was brief. Just like defenders who thought they had him, and then he was gone, Ginola had arrived at Everton in 2002. He played only five times before the new manager, David Moyes, decided that an ageing fancy winger was not the all-action type of player for his high-energy game. No one thought then that there might be any significant comparison between Ginola and Les Sealey, the Manchester United goalie in the 1990 FA Cup final and the winning 1991 European Cup-Winners' Cup final against Barcelona. However, Sealey died of a heart attack when he was 43. 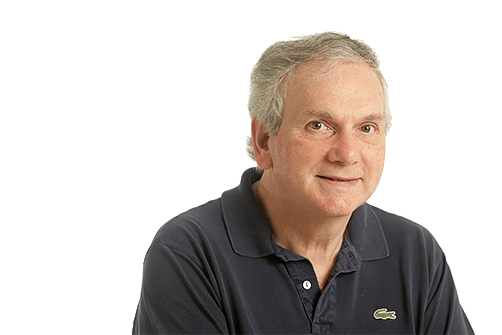 By then the goalkeeper coach at West Ham, where his two sons were training to be 'keepers, Sealey had felt unwell and drove himself to hospital. He died of heart failure as he got out of his car outside the Accident and Emergency unit. Medical science, and modern communications, have speeded up since then. To save a life, of a sportsman or anyone else, still requires first responders, and one of Ginola's fellow players in that charity game, plus the ambulance woman, and all the right calls to the emergency helicopter and the operating theatre pressed all the right buttons. What was wrong, and is increasingly alarmingly misused in our world today, was the mass communication of erroneous information. According to a reporter who was at the charity game and saw and heard every step of the process up to the airlift to Monaco, the tweet attributed to Ginola was put out by the former player's agent. "He fell in front of us," the journalist Jean Philippe Lustyk said on French TV. "He was in a coma. Contrary to what was announced on social media, notably by his agent, at no moment was David Ginola in a good state." The reassurance to the public that he was "fine" was misguided. The message relating to playing in Qatar was not Ginola's (though he had opposed the choice while canvassing to be Fifa president). But just imagine if that had been his epitaph. The last words sent around the world would have been lies. We are gullible, indeed, if we trust everything on the Internet.